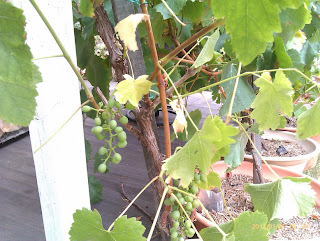 New leaves almost automatically appear! After the new attendance to details- like removing bad leaves. 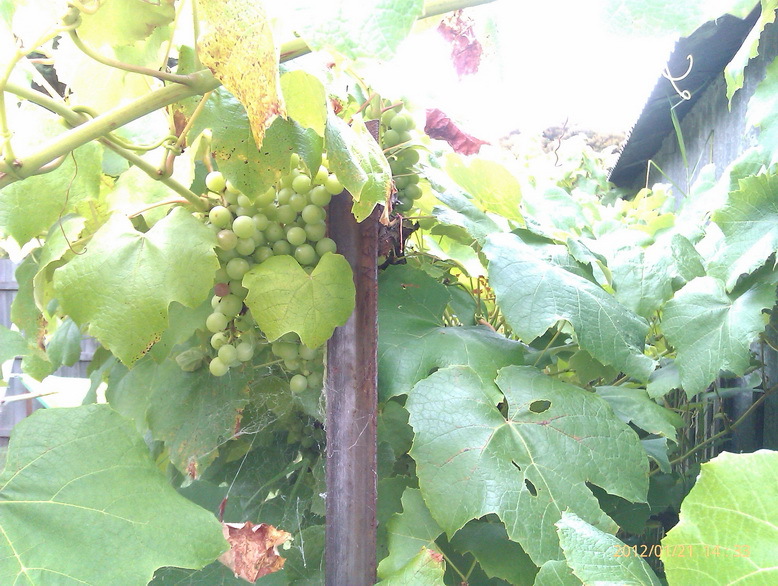 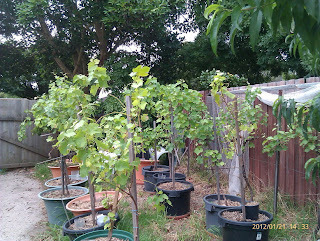 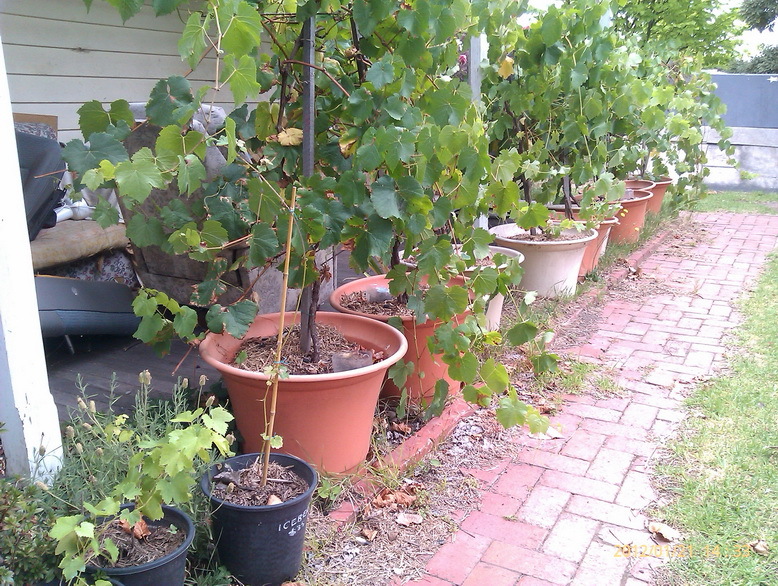 the vines are all recovering well, sans fruit on the shiraz. 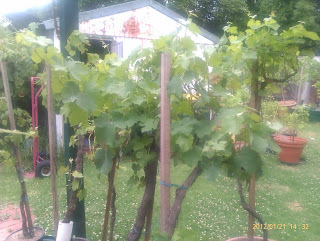 The spraying of the commercial copper compound and a mix of some olive oil and bicarb-soda alternative weeks maybe doing the trick. 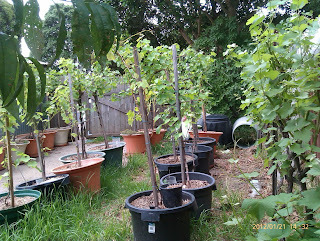 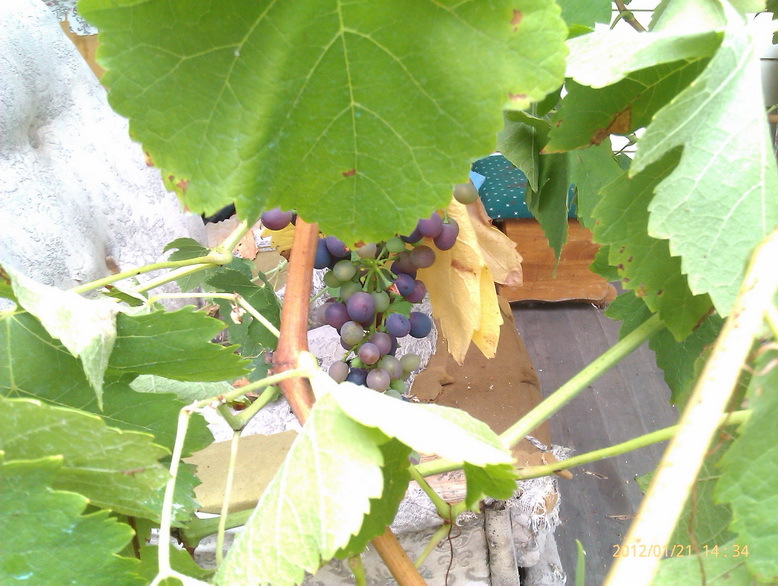 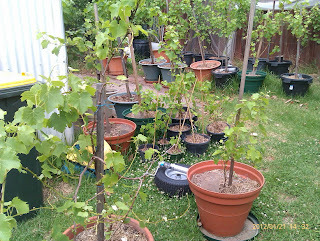 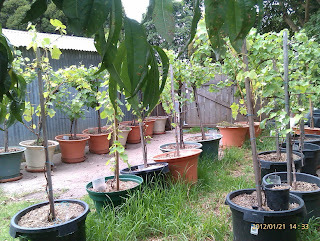 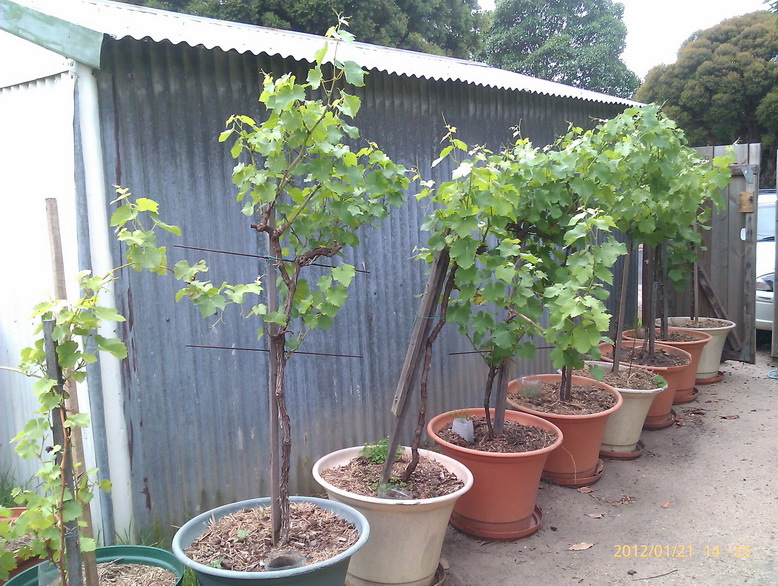 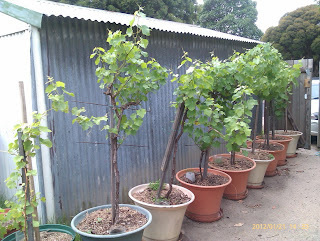 This weeks progress in the Portable Vineyard. 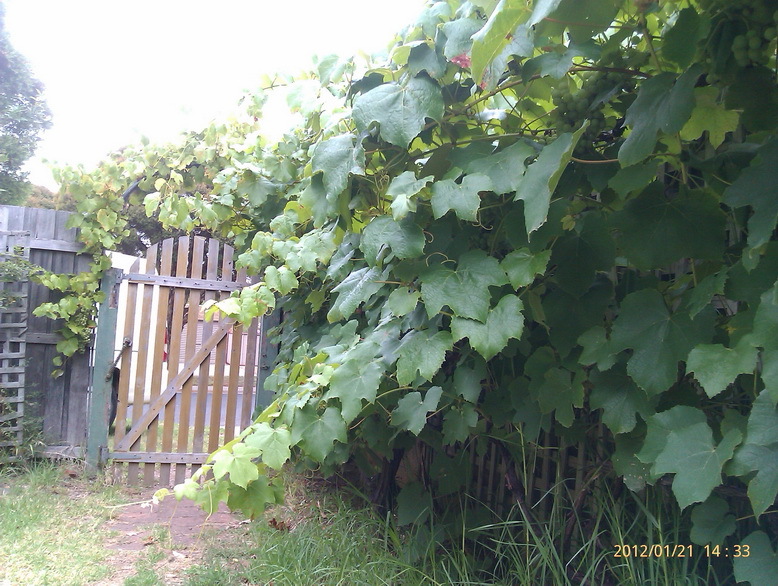 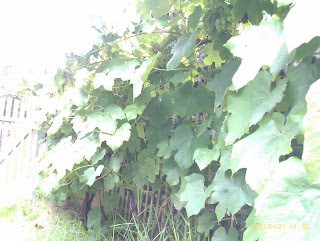 Below- regrowth on the deleafed Shiraz vines- pity the vines do not regrow the lost grape clusters.